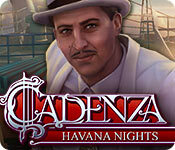 Cadenza: Havana Nights is rated 4.1 out of 5 by 22. Rated 5 out of 5 by camper99z from Really fun game! Not your typical HO game. This game made me think, solve unique puzzles, and use my brain. Such a good time. I play a lot of games and this one is not to be missed. Loved it! Rated 5 out of 5 by miansc from WAS I SUPRISED !! I had overlooked the Cadenza games and then finally decided to try one. This was the first one I played. I must say I was pleasantly surprised! This game hooked me on the Cadenza games. 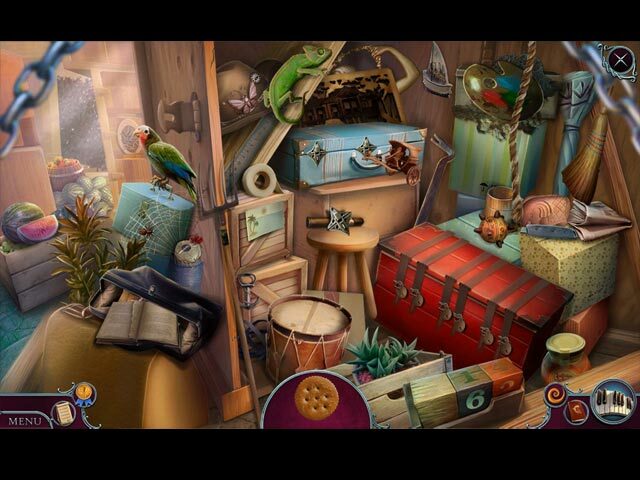 It is very different from other hidden object games. The twists and turns make this a great mystery and HO game. Music is exceptionally good and fits the story so well. Characters and graphics are very well done. Yes, I now look for new Cadenza games. It really sold me on them and I haven't been disappointed yet. Don't be like me, give the demo a try!! You too may be surprised. Rated 5 out of 5 by JulesJumper from I should have gotten the CE To be honest I'm not a massive fan of the other "Cadenza" games. I usually try the demo but they never get me hooked like other games do. As I recently finished "MCF: Key to Ravenhearst" I was looking for something different and more colorful and exotic. I only tried this game because I'm quite interested in Cuba and would love to visit Havana. So I decided to buy this game and I don't regret it! 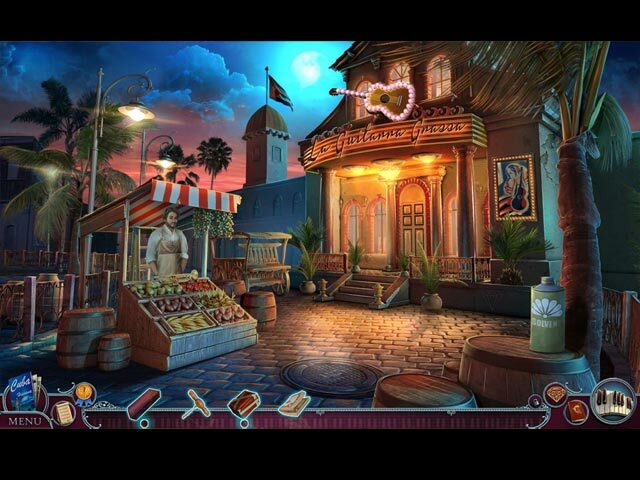 The storyline is different from many other hidden object games since you are not a detective but a young man who is accused of murdering your own brother. The cut scenes are wonderfully done, the characters are believable and the voice overs are utterly lovely. The HOS were easy enough to play and there were not too many of them. The puzzles in this one are not complicated, so you most likely won't get frustrated while you play. Sadly, it was quite a short amusement. The SE took me about 2 1/2 hours to finish. So, all in all a little charming game if you want to take a break from all the dark, gloomy, rainy ones. I recommend you get it at a sale since the full price is bit high for such a short game. I actually think is my new favorite. Rated 5 out of 5 by denniann2 from havana can be dangerous custom level and a good hint system. you get a letter from your brother. he would like for you to come to havana and help him run a nightclub he bought. he wants you to play your trumpet and that would provide the music for the club. after you get there he is kidnapped and you discover a plot that involves a deceased man that seems to have come back to avenge his death. well, you know that can't be true but you need to get to the bottom of this and find your brother. you learn the story as you go through the game.you are falsely arrested at the beginning because you were in the process of recovering a red box that your brother told you to get from his office safe and you need three keys to get it open and that is what you are doing as well trying to figure out the story. sequel...probably. this one was pretty well along the line of the others. Rated 5 out of 5 by Abiatha from Brilliant game - deserves more than 5 Stars! I loved the setting of this game, it has real atmosphere enhanced by the era of the story, the colours, the voice actors and the wonderful music. I had not played any game like this before but I didn't want it to end - I think this is the best Big Fish game I've ever played. The story was excellent and the puzzles just right, nothing annoying. I would love any more games in this retro style! Highly recommend! Rated 5 out of 5 by BooksandGameFan from Fantástico!! I absolutely loved everything about this game! So fun and relaxing. Gorgeous graphics,with beautiful Cuban scenery and wonderful Spanish accents! The games and Hop's were fun and interactive. The music was perfect as well, I kept my speakers on the whole time where usually I turn the sound off. Mad Head games should be changed to Mad about you games! I can't think of one game they've done that I haven't thoroughly enjoyed, as a matter of fact many of my most favorite games are by them. I love the scenes in their games well rendered no lurid colors, not overly done with something in every single spot to were you are overwhelmed nor too sparse just the perfect amount. Not only is the game visually stunning but MadHead always tells a story so perfectly, it unfolds throughout the game play, hop's even the items you find to use to open things tie into the story! My only negative is the game was short, I know it felt shorter because I was enjoying it so much, but it really was kind of short. I wish I'd purchased the CE so I could have played longer. This is a game I will definitely play again. Bravo MadHead, Fantastico!! Rated 5 out of 5 by PATinPNS from Oh for a Night in Old Havana! Great Game!! This is posted after playing the entire game. This, of course, is a sequel and while it is somewhat like the others, it is different in its own right. I found just about everything in the game fun and can't wait to play it again. I guess my desire to visit Cuba one day plays a part in my enjoyment of the game. Graphics were well done. This developer almost always comes through. Voice overs and music were fantastic. Effects were good also and went along with the story.They did a super job on them. I particularly liked the background for some reason. Normally I don't pay much attention to them, but I found myself getting absorbed in the scenes. The challenge was just about right for me. I am not one to sit and ponder those mini games. These offered a challenge, but weren't enough to drive me straight to the skip button. The hidden object scenes were excellent. Not just piles of junk. They were well hidden, but in an orderly manner. Also there is a variety of scenes which breaks up the time a bit for me. The tools are several levels of difficulty, from which I chose the custom. You can set the skip and hints to a quicker time. Also there is an interactive map which I used quite a bit when I would get stuck.It does show where there are things to be done. I like that. Really enjoyed the story. I was immersed from the very beginning and while it did have elements from the other games, it too was a little different. I won't go into the story itself. Big Fish does a great job laying the foundation for you, but I will say once I got into the story during the demo, I was hooked and it continued all the way through the game. Again, this is a great game. Play the demo and I think you too will be looking for a night in Old Havana. See you there! 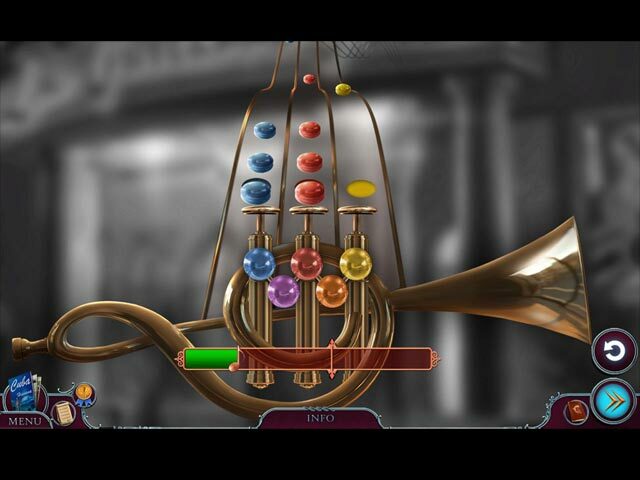 Can you escape the mysterious musician's melody?